A photo kindly shared by Rickey Robertson, an avid military buff and historian from the Florien, Louisiana area (specifically, from Peason, a community east of Florien in Sabine Parish)… This photo has a neat story. 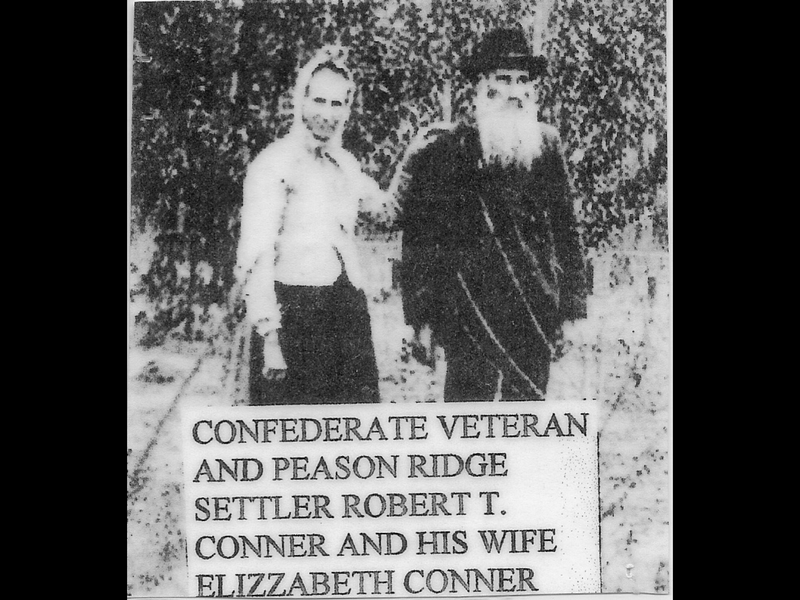 The photo is of Confederate veteran Robert Conner, a Peason Ridge settler. Conner is buried with his wife in the Merritt Cemetery located on Peason Ridge Military Reservation. He was wounded in the First Battle of Manassas in Virginia in 1861 and four other times. He was sent home to recover from his wounds, joined General Richard Taylor’s troops during Mansfield and Pleasant Hill, and was captured at Monett’s Ferry in Natchitoches Parish. He was carried to New Orleans and finished the war in a Yankee Prison Camp in New Orleans. Pictured with Conner is his wife, Elizabeth. Sgt. Robert T. Conner was the last Confederate buried on Peason Ridge. Robert Conner was a member of the famed 1st Texas Infantry serving in Company K. His ancestors still reside in the Milam, Hemphill, and Newton areas of East Texas.